Drawing inspiration from the natural abundance of our hills, vales and coastline, the award winning chefs at our Victorian chop house, Monty’s Grill, combine the freshest seasonal ingredients with balanced flavours and simple cooking to produce outstanding meat and fish dishes all year round. Recently awarded an AA Rosette for fine cuisine, Monty’s is all about the food of Old England, including tender Longhorn beef, sweet and delicious Gloucestershire Old Spot pork, succulent saddles of Wensleydale lamb and fresh Whitby fish and lobsters. To complement our menu, we have an excellent wine and champagne list for you to choose from. We are open each day for breakfast, lunch and dinner (from 08:00 to 22:00). If you feel like chilling out for an hour or so, then head for our relaxation suite, where you will find a sauna, hot tub, plunge shower, tanning booth, exercise equipment and MTV. Towels are provided. 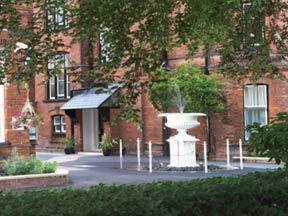 Price details:Rooms from £101.00 per night (includes discount for booking online).